In a chess game you should attack an opponent’s weakest square. Likewise in a preparation you should “attack” an opponent’s weakest side. Hit in the WEAKEST point! 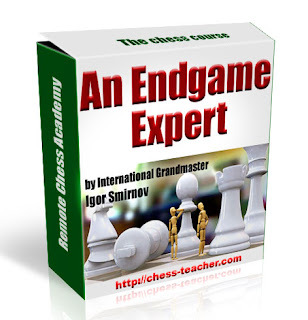 The majority of modern chess players do NOT have a real (deep) strategic understanding. They can attack and use tactics. However, even titled players are often weak in strategic positions. So, how do we use our opponents’ low level of chess understanding to our advantage?You should go into an endgame! An Endgame Is A Clear Strategy! In the opening and middlegame stage concrete (sudden) tactical variations often determine the situation. In an endgame you should use only your strategic understanding. That is why a majority of players do NOT know what to do in an endgame at all! Even modern Grandmasters have tremendous problems here. Amplifies Your Positional Play Automatically. This all has to do with a strategic understanding. Remember the famous endgame masters: Capablanca, Flohr, Smyslov, Karpov, Kramnik…They all have a crystal-clear caliber of playing.They all almost never make mistakes. They all almost never lose games in the opening. Their deep strategic understanding prevents them from making mistakes! They attained this understanding while perfecting the endgame skills! That is whyCapablanca recommended to start learning chess from the endgame phase!Endgame expertise bears positive influence on all other parts of your game as well.